Prior to our upcoming Modern and Contemporary Prints sale on Tuesday 9 April, head of department Dr Kirstie Imber talks to us about her personal favourites from the sale. Danielle J.’s Burnt Polaroid Series is rare and, in my view, incredibly thought-provoking. Ordinarily the polaroid medium lends itself to capturing fleeting, intimate moments; the small photographic squares are often considered ephemeral, or more like miniature ‘keep sakes’, rather than works of art. Yet Danielle J.’s use of the medium blurs this distinction. Even more than this, perhaps, is that her series asks us to question our preconceived ideas about aesthetically acceptable depictions of the female form and the fine line between the artistic and the pornographic. Danielle J.’s series are also an important antidote to the world of digital imagery and photoshop, where images of women are doctored, filtered and perfected, often with worrying consequences. This edition, created in collaboration with HENI, originates from Hirst’s Colour Spot Paintings produced in 2016. 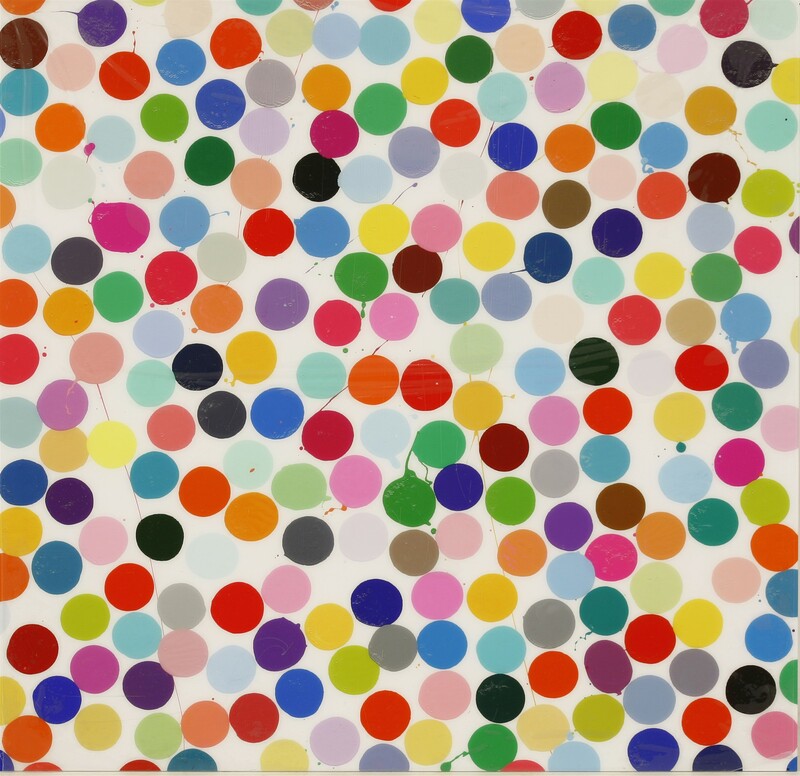 In that series Hirst revisits his first Spot Painting produced in 1986, which features loose spots and gentle drips of colour (as opposed to the clean, rigid spots produced later on in his practice). As with the Spot Paintings, the Colour Spot Paintings feature a range of dot sizes, and no single colour is repeated within the image. In Claridges, and Beverley Hills (lot 168), Hirst returns to the same painterly logic and approach, but uses giclée printed on aluminium panel. I love how this series links back to one of Hirst’s early and most iconic works, and how, after thirty years, Hirst has departed from the desire to create spots that look like they have painted by a machine in favour of celebrating the inconsistencies that arise when painted by the human hand. 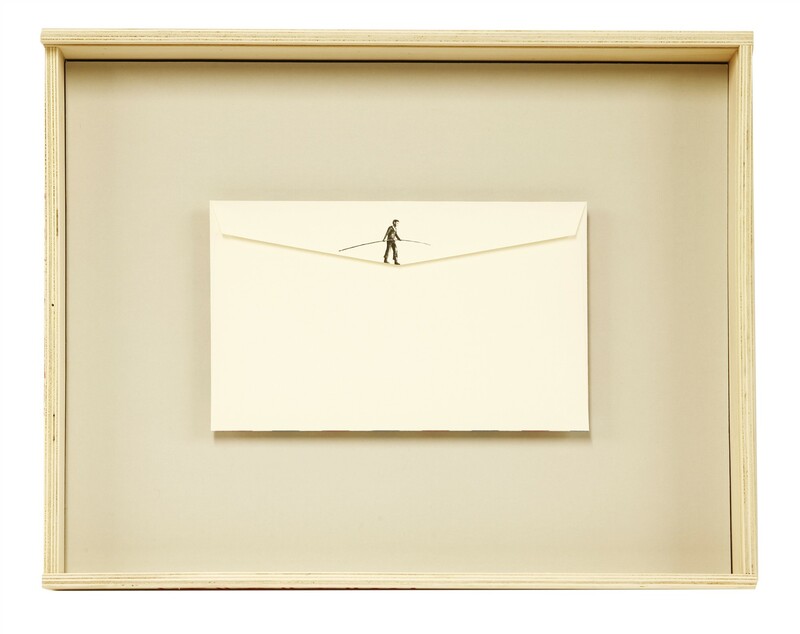 Spanish artist Pejac’s time-limited edition is a delicate envelope personalised by the artist, which refers to several of his other works. The front of the envelope features small crows which reference his earlier work, ‘Scattercrow’, from 2017, and on the back Pejac has drawn a silhouette of the French high-wire walker Philippe Petit. The envelope is included in a custom made box with gloves, so for me is both a work on paper and sculpture. I’m particularly drawn to this edition as Pejac decided to run a charity auction following the time-limited sale of 24 hours. The auction raised over £5,000 for Clowns Without Borders, a charity that support children suffering from post-traumatic stress in Syria and Lebanon.